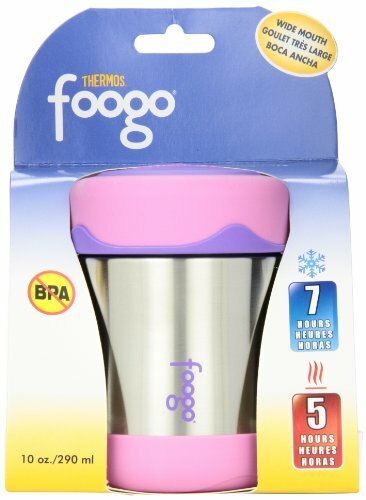 Featuring Thermos’s double wall vacuum insulation technology, the Thermos Foogo Stainless Steel Food Jar keeps your lunch hot or cold food until you’re ready to eat, 5 hours hot or 7 hours cold. 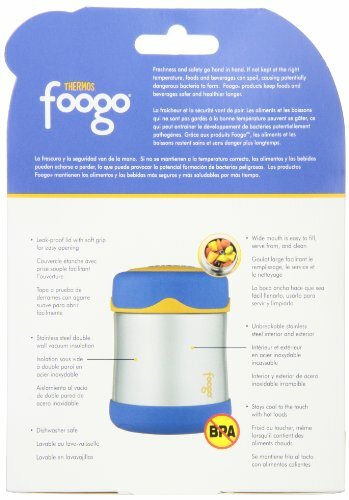 The Foogo Stainless Steel Food Jar is constructed with durable stainless steel interior and exterior that provides an exterior that is cool to the touch with hot liquids and is dishwasher safe. 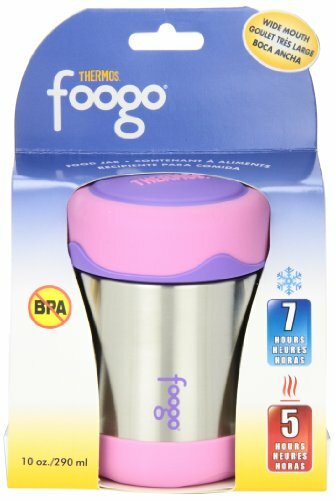 In addition, it features an ergonomically designed lid with a rubber grip and an extra wide mouth that’s easy to fill, eat from, and clean.